These two shots were taken this afternoon on the moor at Porthgwarra, Cornwall. 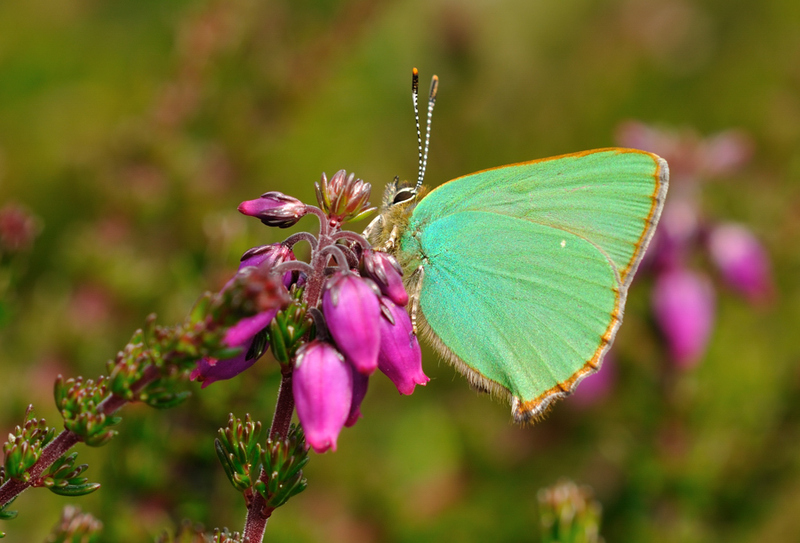 I saw about five in total feeding and resting on the gorse and heather. 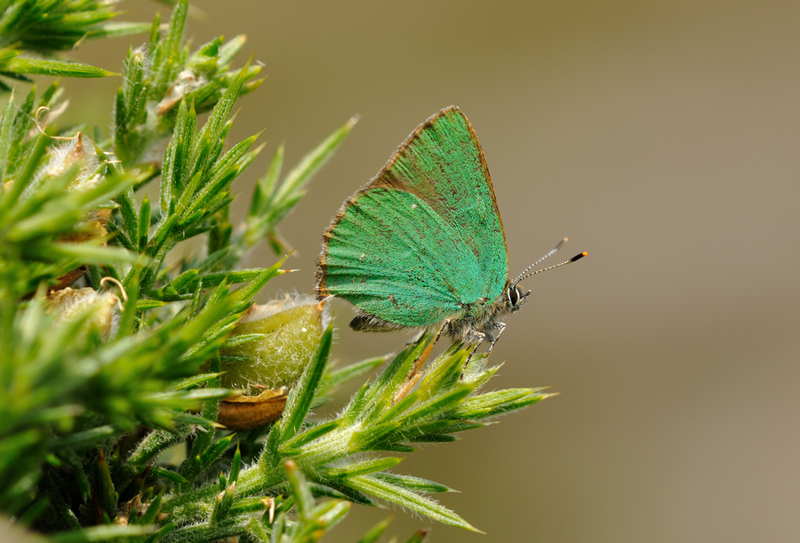 Green Hairstreak is not common in Cornwall, in fact this is the first time I've photographed the species. All past sightings have come from west Cornwall on the coast. From memory, I have never seen one inland. The species is single brooded and is mainly seen in May and June.